IT’S THE LAST WEEK OF VOTING! We’ve come a long way but we really need a final push. APP’s volunteers, supporters and friends have been doing an amazing job. We’re tired, our fridges are empty and our laundry baskets are full, but we know that we’re making a difference, not just by getting votes but by reaching large numbers of people who’d never heard about PP before and increasing the understanding of maternal mental health issues. On TV we’ve seen postpartum psychosis feature on the Victoria Derbyshire show on BBC Two on Monday, on Channel 4 news also on Monday and on ITV news on Tuesday (the news pieces in response to Healthwatch England’s report on unsafe discharge from hospital). It’s been a busy week on Twitter - the NSPCC mentioned us to their 167k Twitter followers and we’ve had tweets and retweets from the Heart of England NHS Trust, Prof Louis Appleby, MGC Hayles, Mental Healthy, Mental Elf, and Love Brum. Many of the Maternal Mental Health Alliance organisations have also tweeted. Our first 50 tweets this week are at 48075 impressions, and still counting (as it goes Friday to Friday). 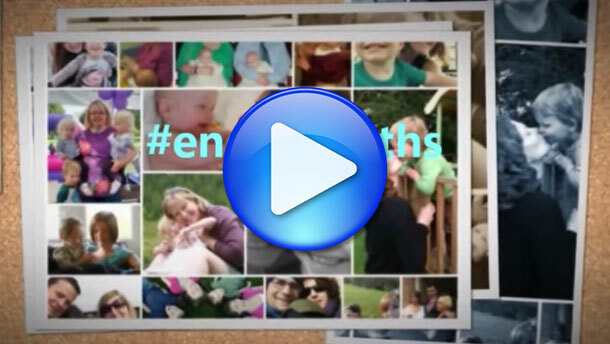 Our #endPPmyths video was the main story in the Postpartum Post. Organisations who’ve supported us include the Institute of Health Visitors, PIP UK, PSI, Praeclarus Press, PNP Support New Zealand, National Centre for Mental Health and APPAH. We’ve also been going out and about. We got a really positive response at the Good Hope Hospital Community Fete on Saturday. And a supporter simply knocked on doors around his local area and asked people to vote – and collected 250 votes! Amazing! With a week to go please think what else you can do to help. Please share the message with friends, contacts, and colleagues and please email, tweet large organisations and post the link to vote on large and influential Facebook groups. Check your friends HAVE actually voted (not just said they WOULD!). Take a few paper voting forms and drum up face to face votes at whatever you’re going to – big family BBQ, village fete, car boot… We can send you forms (and official APP T shirts to wear!). We will be at Sheldon Countryside Festival on Sunday so come and say hello if you are there. A week today will be the final campaign update. We need a sprint to the finish line – and to know we have done all we can.